NewRots and partners spent an inspiring evening with young visitors from Hinsdale, Chicago who are members of a club called Leap Into Africa. The high school club raises funds for Leap Science and Maths here in Cape Town. Young people committed to ensuring their peers get a great education! 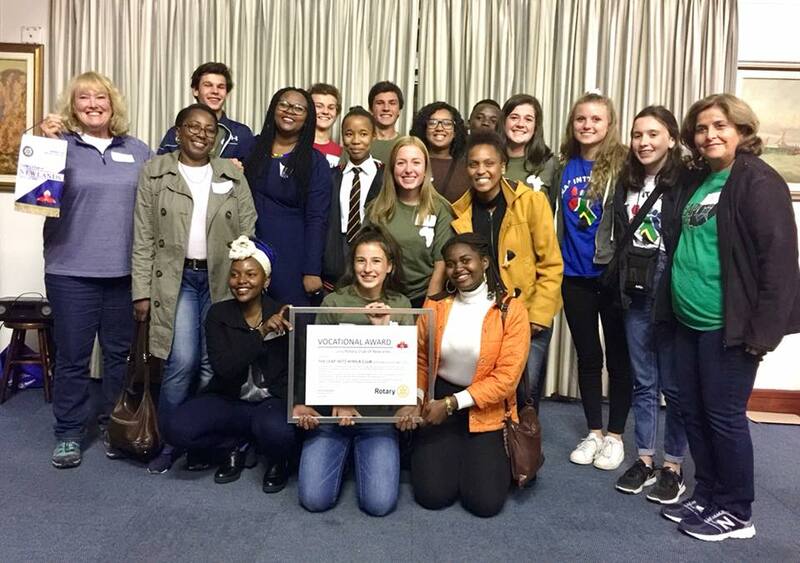 Two learners each from Steenberg High School, Leap Science and Maths and Groote Schuur High School also joined us to share their Rotary Adventures into Citizenship District 9350 experience. A highlight of the night was the handover of a Vocational Award to Leap Into Africa as acknowledgment of their incredible work.